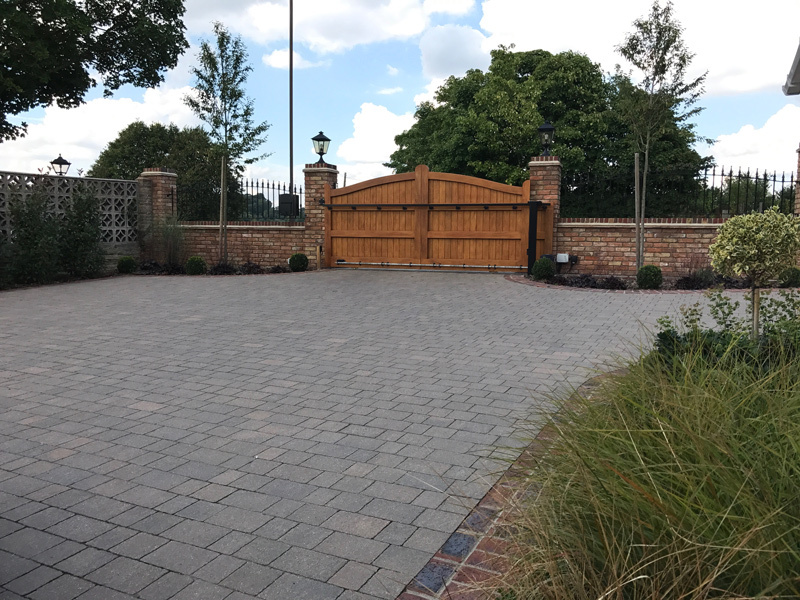 Here is a front garden project we recently completely in Farningham, Kent. 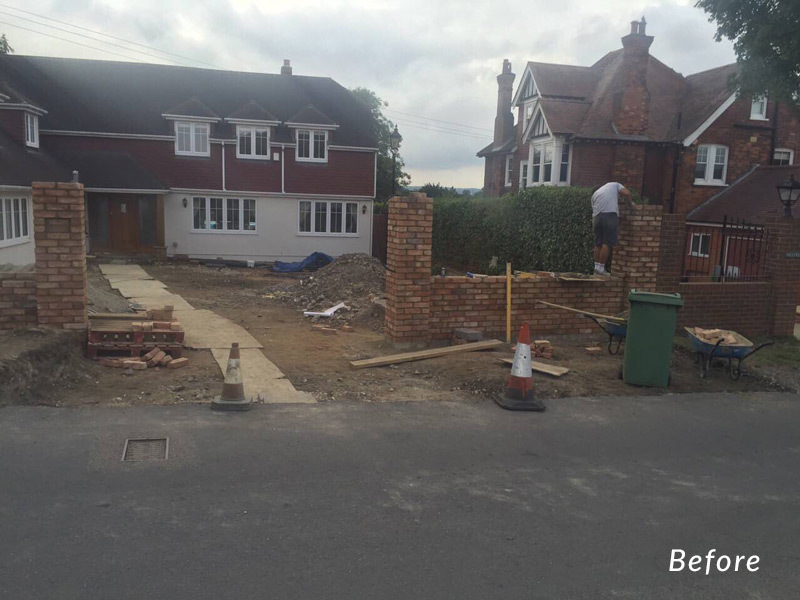 The original driveway and walls were demolished to make way for a complete re-build. 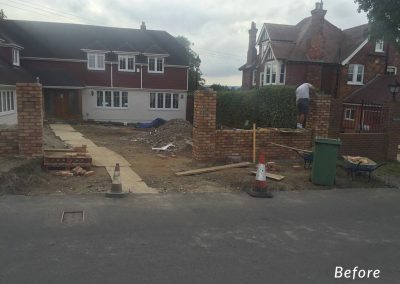 We firstly constructed the new wall and piers using reclaimed bricks. 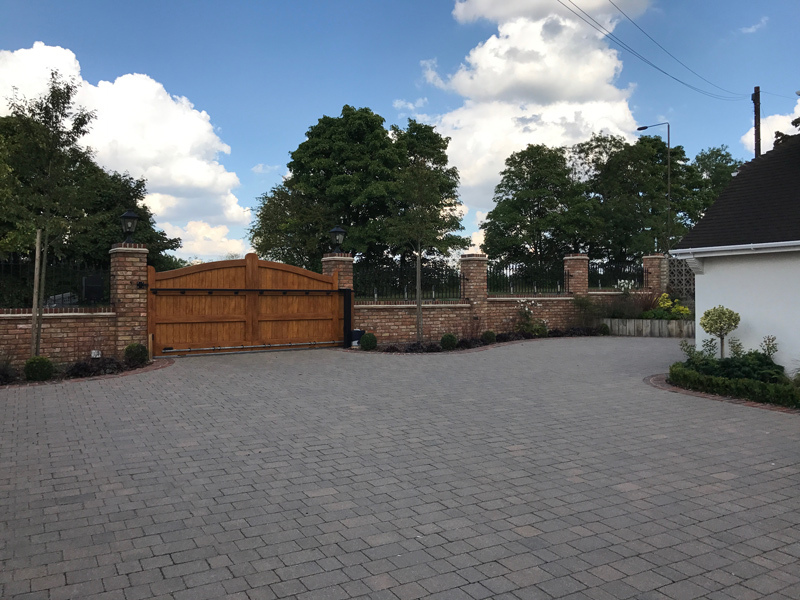 The new driveway is laid in a Marshalls Tegula block with a stock brick edging detail. 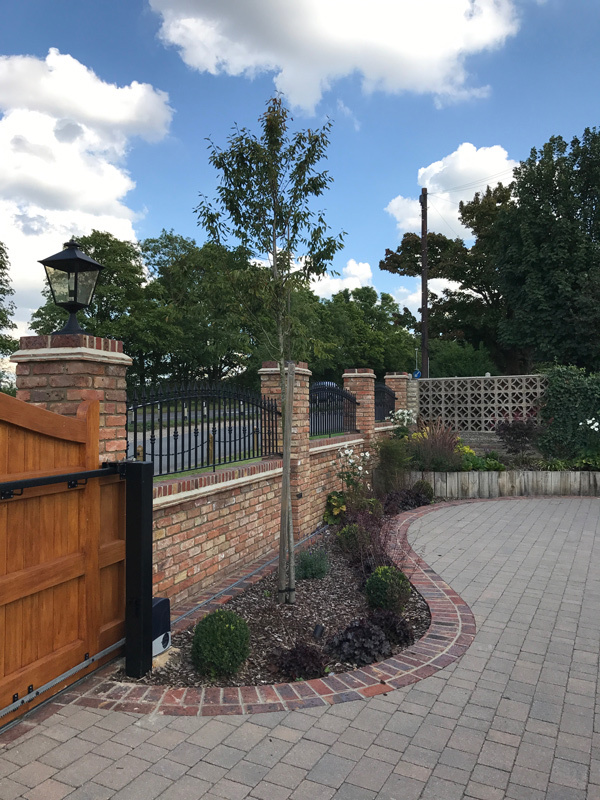 Oak sleepers were used to create a raised planting area and further planting was incorporated in front of the house to soften its appearance. 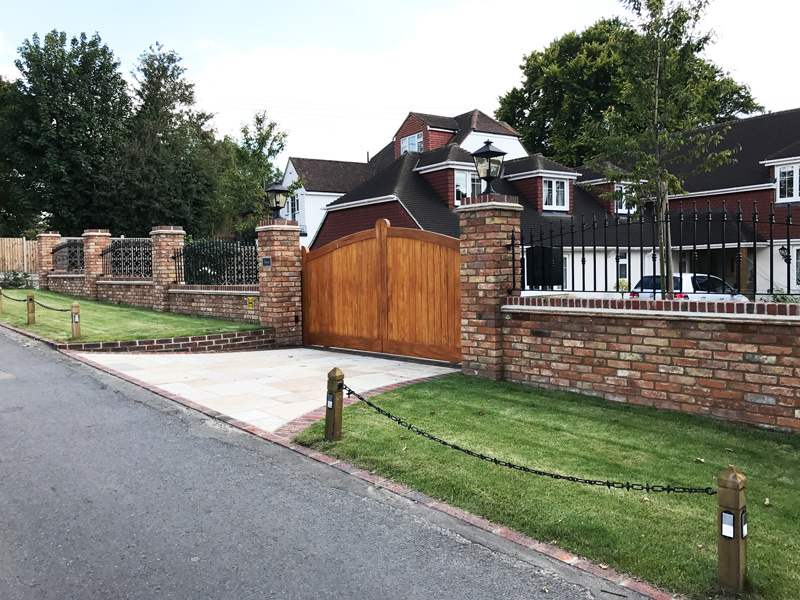 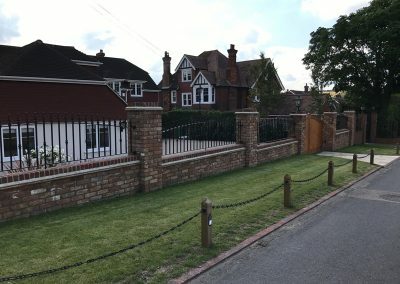 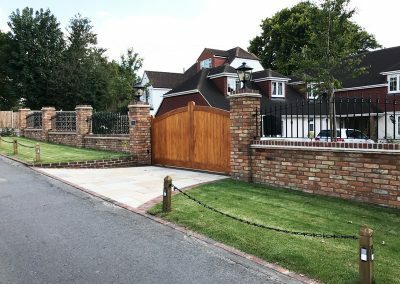 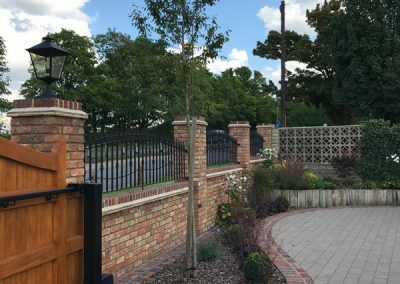 Upon completion a new sliding electric gate and wrought Iron railings were installed. 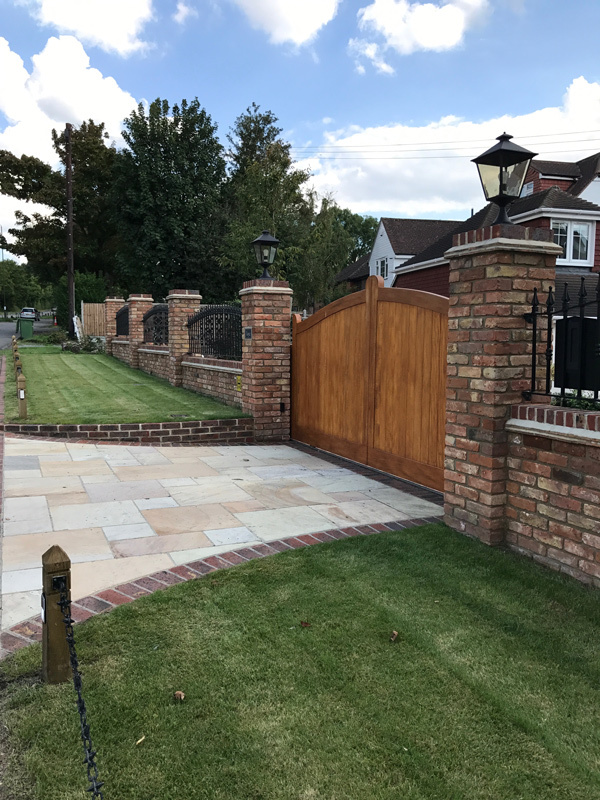 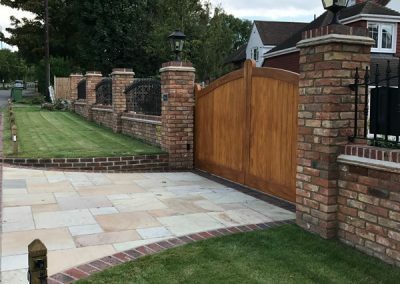 Materials: Reclaimed stock bricks (wall), Sandstone slabs, stock brick edging, block paved drive infill and low Oak walling.